Everyone act normal and kick the dirty laundry under the couch…we have a guest! This is the first guest that we have had on The Deck so I am not entirely sure what to do…do I put out chips and dip, do I get out the fancy chicken nuggets…no idea. Today my friend Sarah Gilbert is visiting. Sarah is a fellow BLUNTmom and I had the pleasure of meeting her last year at BlogHer in San Jose. She’s incredibly funny, smart and stunning. But better than all of that she had a pet raccoon, and she has agreed to share the story with us today. Maybe don’t worry about acting normal…she had a raccoon as a pet, people…she gets us. Enjoy her story and check out her blog at sarahanngilbert.com. My perfect pet was the Golden Retriever. They were the best dogs: Beautiful, loving and they came with special talents, like diving for rocks that were tossed into the lake just deep enough that we thought he might drown, but not so deep that we wouldn’t go there ourselves to rescue him. But Rocky was not our dog. He was owned by rich family friends who had been carefully cut out of a Ralph Lauren ad and pasted into a mansion on the waterfront in a neighborhood with a private beach. For two summers in a row, we got to live at The Rich Family’s house while they sailed around the world in their yacht that the family patriarch had taken years to design and then christen Archangel. I was baffled by our luck — that my parents knew such people and furthermore that they let us live at their house for free — but I tried not to dwell on it because over-thinking good fortune tended to ruin it. So, I took it for what it was, the opportunity to pretend that this was my real life and not the one that I actually had. I had asked for a dog for every Christmas and every birthday since I had learned to talk. 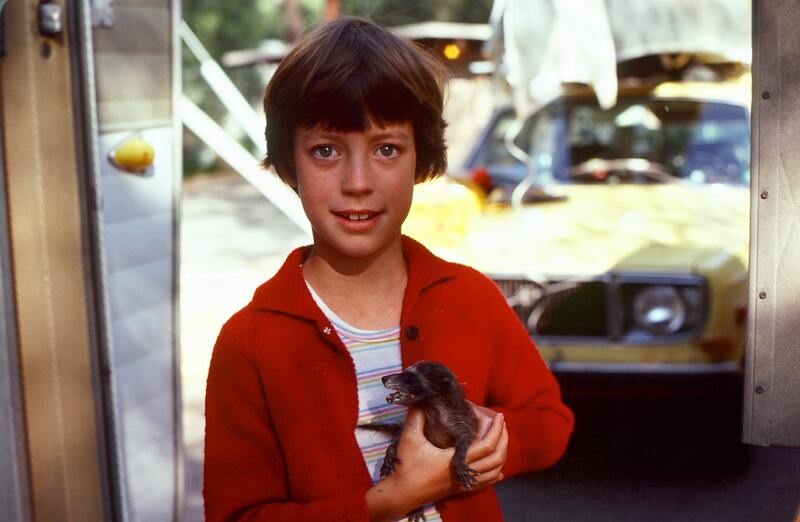 But instead, we got fish and then a guinea pig, Zebra finches that pooped all over the lampshades in my father’s office, a field mouse that had given birth to five naked, pink babies in my sock drawer, and eventually three raccoons. It wasn’t that we couldn’t afford a dog or didn’t know how to get one, it was just that we never had one thrust upon us out of its own necessity. We would have had a golden retriever if one had just shown up on our doorstep with a sad sign around its neck saying that its mother had died, it had lost its job or that it was homeless. But instead, we acquired baby raccoon triplets in the summer of 1978. Our yellow Volvo station wagon and dilapidated Airstream camper had been carefully maneuvered into camp site 111 beneath the monuments of giant trees in Sequoia National Park. The fuzzy green branches of the trees were so far out of reach that they pushed the sky higher than I imagined it could ever go. To climb to even the first branch of the tree next to our camper would have been impossible even if I stood on a ladder and then lifted up my 5-year-old brother as high as I could. It was the most beautiful parking lot I had ever seen. Like so many of our family trips, this was a working vacation for my professorial father. The days comprised of things-we-could-do-for-fun and what he really wanted to be doing, scientific research. In the things-we-could-do-for-fun category was roasting marshmallows, going on hikes and squeezing a puss-filled splinter out a boy’s hand who was staying in the next campground. As for the scientific research, I was not sure what that involved except a lot of going off during the day with the car and leaving my mother, brother and I to invent games using the fire pit or the picnic table. But one day, my dad returned from work with a cardboard box containing three very small raccoons – two males and female. When I pulled back the blanket that was covering them completely, I could see their arms splayed out like furry starfish with striped tails and tiny black masks over their closed eyes. These small, exhausted bandits were ours to keep. “They were abandoned by their mother. Or she was killed,” said my father. He said it with such authority that I never questioned this explanation. To me he was the god of animals and their fate. It was as though he had personally looked down from above the tall trees and witnessed the mother raccoon leaving the nest or being hit by a car, as he looked on almost helplessly. He picked one of the babies out of the box and placed it in my two, eight-year-old hands. The baby’s belly was soft and warm. It raised its head but never opened its eyes. “Is it still sleeping?” I asked. Admittedly, this tiny, hopeless animal that couldn’t yet see or hear, was cute. I felt sorry for it. But I secretly hoped it would grow up to be a dog. Before we had cranked up the camper jack on the trailer and hitched it back onto the Volvo for the drive back to Utah where we lived, one of the kits had died. One of the boys. We took the girl and the other boy home. I insisted on referring to them as the brother and the sister, while my father felt comfortable with the more scientifically accurate and emotionally distant labels male and female. When we arrived home, we got down to the business of giving them a warmer and larger box containing a heating pad, some flannel baby blankets and a small, blue ball. We fed them milk at least three times a day from the smallest baby bottles my mother could find, and then regularly rolled up the newspaper that lined the box to capture the yellow diarrhea-textured feces that they endlessly excreted from beneath their finger-length ringed tails. Less than a week after we got home, the sister died. My father found her lifeless in the box after her evening feeding. She might have aspirated milk into her lungs and essentially drowned, he told me the next morning. He was sorry. But now there was only one raccoon left, the brother. “Where is she, the sister?” I asked. I imagined her body, which we had worked so hard to keep warm, wrapped in the diarrhea newspaper and slowly turning into ice next to packages of meat covered in bright red, grocery store discount stickers and my mom’s Christmas shortbread wrapped in aluminum foil. “Can I see her?” I asked. A few weeks later, when the brother’s fur mask had filled in turning from gray to black, and he had grown at least one additional ring on his tail, we gave him a name like a real pet. He would be Ricky, the raccoon. Now, he was eating small pieces of dog food, but not without first washing it in a large green dog dish using his dainty hand-like front paws. This behavior, that all raccoons do compulsively, is completely endearing. Ricky would take a piece of kibble, plunge it into the water and rub it between his hands while staring skyward like he was feeling around in his purse for his glasses while simultaneously trying to remember if he had put them in there in the first place. It became the centerpiece of Ricky’s show when the neighborhood kids gathered in our backyard to ogle at him. “Let’s get him to wash his food,” they would chorus. And I would hand him one kibble after another until he grew full or bored. Since it was clear and scientifically proven that this raccoon would not grow up to become a dog, I hoped he would evolve to become of loyal pet like the one in the movie Rikki Tikki Tavi, his namesake. I was sure that he would form a loving bond so strong with our family that in a moment of great need he would do something heroic, like fight off an intruder, even though those were rare in our exceptionally small town. Or maybe he would just stop one of the neighborhood bullies from pushing me off my bike, then. Either way, I had decided that I was willing to trade the affection of a Golden Retriever for the fame of a self-sacrificing raccoon. But mostly Ricky grew up to be a jerk. He couldn’t help it. His brain was approximately the size of a walnut, and he was not born to be a social animal, nevermind a noble self-sacrificing one. Anyone could pet him or play with him, but only for about 4 min and 37 seconds, before he got too rough, biting hard and scratching. He even did this with my father, his savior. Ricky could not be walked, and he did not fetch. It was fun to watch him climb trees but torture to lure him back down with pieces of hot dog, so he could be tethered back to his lead using the small, leather dog collar he wore inside his chain link pen. And then one spring day, when I could not see him from the living room window, I went out to the pen to find that he had left, moved out late the night before just as his rent was due. I looked under the lilac bushes and checked carefully in the apple tree, but I was hours and hours too late. All that was left were some little muddy footprints where he had paced back and forth in front of gate and his green dog bowl. I wanted to feel more sad that he was gone, but I wasn’t. “Dad, now can we get a dog?” I asked. “No, but we can take care of one this summer. His name is Rocky, and he can dive for rocks. Sarah is a writer, optimist, skeptic and smartass, who writes about science, nature, gender, feminism and sometimes parenting on her blog sarahanngilbert.com. Sarah lives in Denver with her wife, two girls and an ungrateful dog. 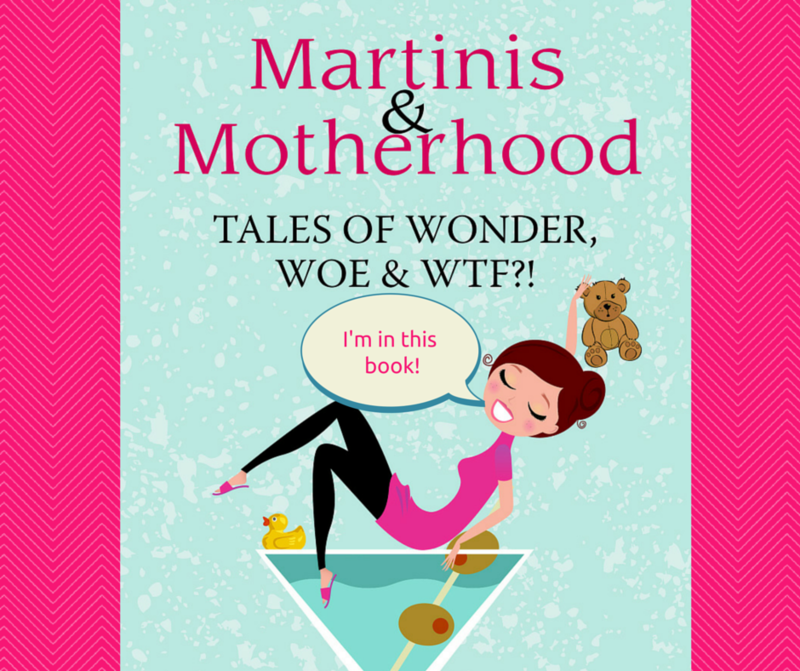 She is working on a memoir and way too many personal essays all at the same time. If she was more ambitious, she would start a movement to get the state government to make down vests and flip-flops the official uniform of Colorado. She loves dessert. You can talk to her on Twitter @sarahanngilbert and Facebook. God this was fun. 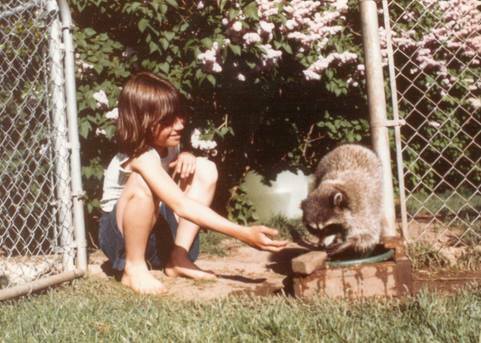 My mom had a pet raccoon named Ringo, after the Beatles’ drummer. I had a crawfish named Big Daddy, for a full calendar year. The stranger the childhood pet, the cooler the grownup blogger, perhaps? We can only hope. Awesome post, Sarah.